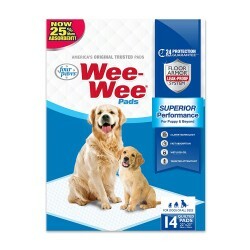 Four Paws Eco Wee-Wee Pads provide the same highly effective performance and features of standard Wee-Wee Pads, with an earth-friendly touch. 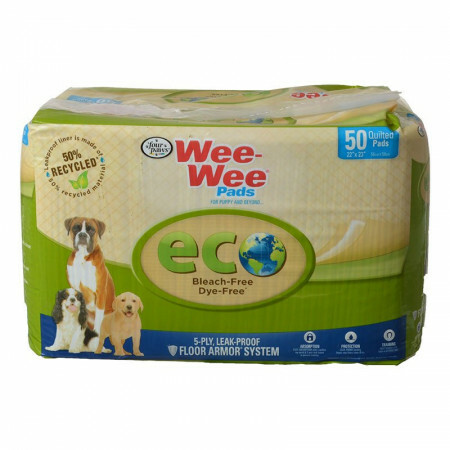 The top layers of Eco Pads are made with bleach- and dye-free tissue and fluff, and the leak-proof liner features 50% recycled material. 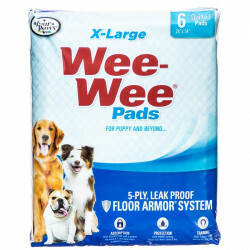 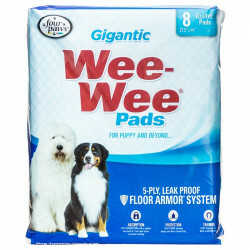 Eco Wee-Wee Pads feature the same heavy-duty, leak-proof Floor Armor system as standard pads. 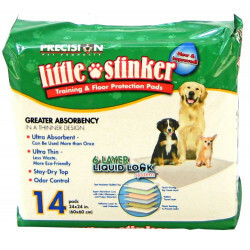 The quilted top and 2 layers of wet-lock material prevent tracking, and the leak-proof backing keeps your floors clean and dry.